Many New Jersey homeowners will occasionally need sewer cleaning to eliminate built-up gunk on the inside of the sewer main line. Sewer clogs can commonly form when materials like cooking grease, non-dissolving paper products, and other debris makes its way down your toilets and drains. Over time, these materials will settle into the pipes and adhere to the sides, narrowing or blocking the pipes and restricting water flow. When the problem gets severe enough, usually after months or years of regular buildup, homeowners begin to experience problems around the house. Drains stop clearing properly, toilets clog more often, and in worst-case scenarios, wastewater can even back up through the pipes. Sewer jetting services are a common, effective method of clearing out obstructions from your sewer main line, fixing the problem. 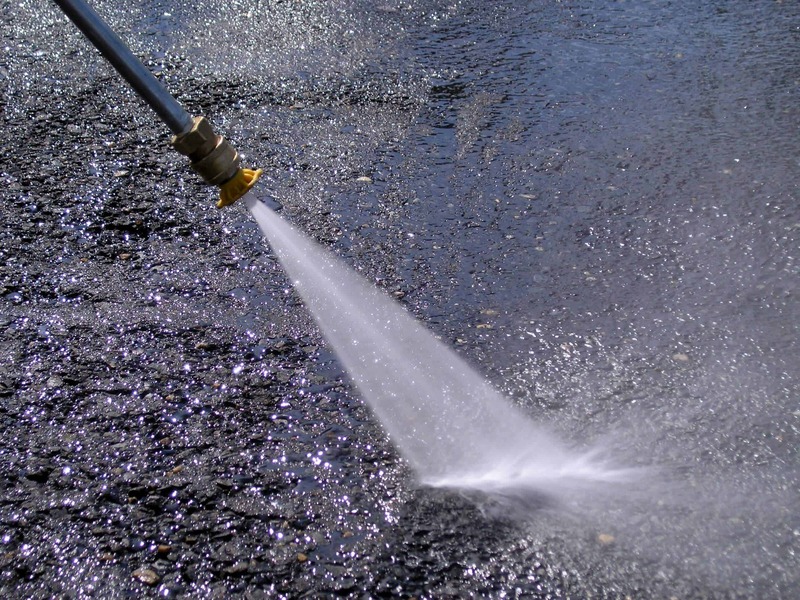 These systems rely on high-pressure water hydro jets, similar in function to a pressure washer. These powerful streams of water will blast through even the toughest clogs, including tree roots, and wash the broken-up material safely downstream and away from your home. To find out more about residential sewer jet services, give us a call at A1 Sewer & Drain. 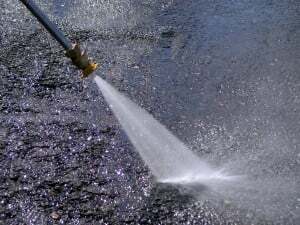 Residential sewer jet services use specialized equipment, which resembles a pressure washer that you might use to clean siding or driveways. These compact but powerful machines are usually mounted on a truck or trailer, depending on their size and the job at hand. The largest hydro jetters can carry up to 1500 gallons of water for high-grade applications. Different interchangeable nozzles are capable of different levels of water pressure, since different residential and commercial jobs can require different pressures. The key is the jetter’s high-pressure pump, powered by the motor. It blasts water into the hose, and out the nozzle, at impressive pressures of up to 4000 PSI. 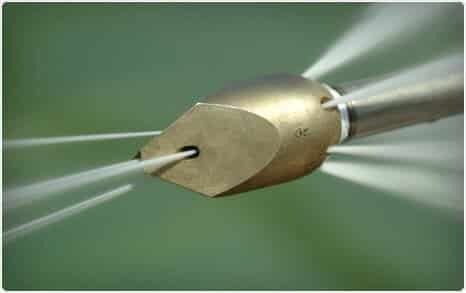 Usually, sewer cleaning contractors will start off with a “penetrating nozzle,” then switch to a powerful “closed nozzle” to complete a thorough cleaning of the pipes. The stream of pressurized water carries enough force to break up and cut through sewer clogs easily. What Happens During Residential Sewer Jet Services in NJ? Residential sewer cleaning is a fairly simple, noninvasive process. Unlike some forms of sewer repair (excluding no-dig trenchless techniques), sewer jetting services won’t tear up your lawn or property. Once the contractors are done, you’ll hardly even know they were there. Usually, drain jet services will begin with sewer camera inspection. Workers will use a fiber optic camera system, which lowers into the sewer line and feeds to a monitor, to examine the inside of the sewer pipes directly. This helps technicians locate the source, size, and composition of the obstruction. This helps them figure out which nozzles to use, and where to enter the sewer line for best results. After sewer video inspection, sewer cleaning contractors will then do the hydrojetting itself, which doesn’t usually take too long to blast though the clog and get rid of the problem. The process rarely takes more than an hour or two, and sewer cleaning contractors can provide same-day service within an hour of your initial call. Need Sewer Jetting Services in New Jersey? If your sewer main line is clogged, you need to act quickly to prevent sewer backflow and other potential complications. At A1 Sewer & Drain, we’re available 24/7 for emergency sewer jetting services in New Jersey, in Bergen County and beyond. To find out more about sewer jetting services in NJ or schedule same-day sewer services, call us any time at 201-645-0888.